PADS has been the best thing that has happened to me and my family. It has given me a soul-mate that has added a new dimension to my life. I am eternally grateful to the organization, the training staff, the puppy raisers, the volunteers and the extended family of supporters for all they have done. 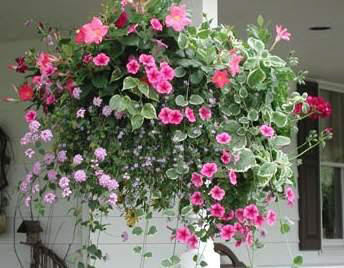 We’re delighted to offer the Sun/Shade Mix Flower Baskets again this year. Place your order before April 18th to receive your beautiful Flower Baskets just before Mother’s Day. Unfortunately we are not able to ship any baskets. All baskets must be picked up. 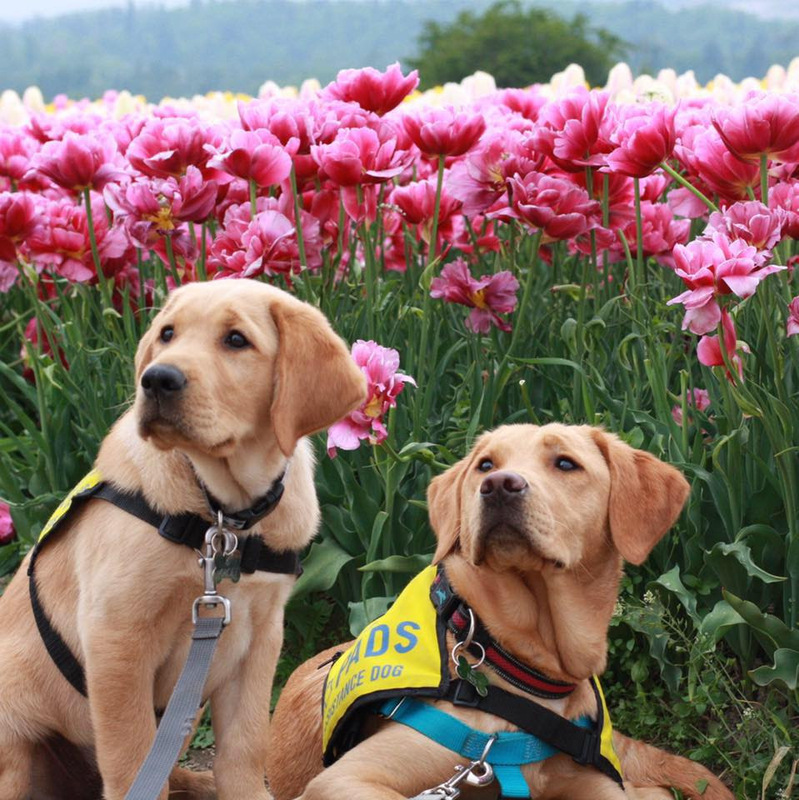 Join us at the PADS Campus in Burnaby, BC for a day of demonstrations, puppies and family fun. 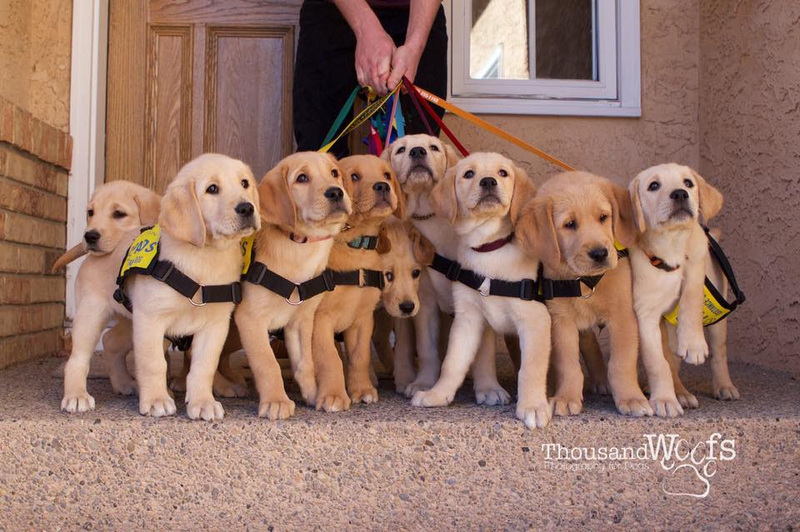 Look inside the Assistance Dog world. Volunteers, staff, trainers and clients will be happy to chat and answer any questions you have about our programs. 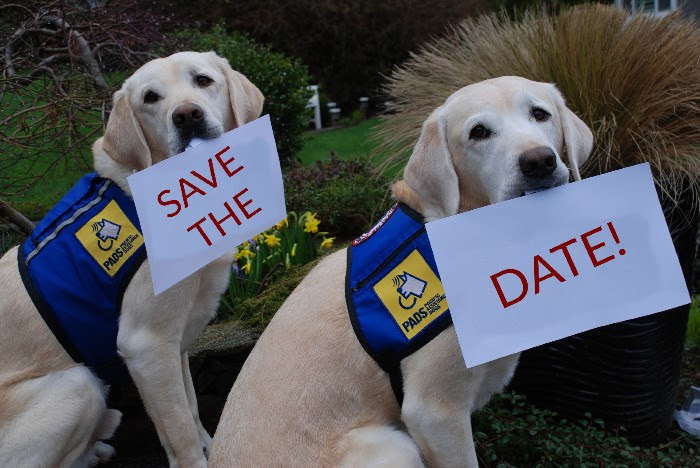 Bring the whole family and learn about our assistance dogs, canine assisted intervention dogs and hearing dogs. 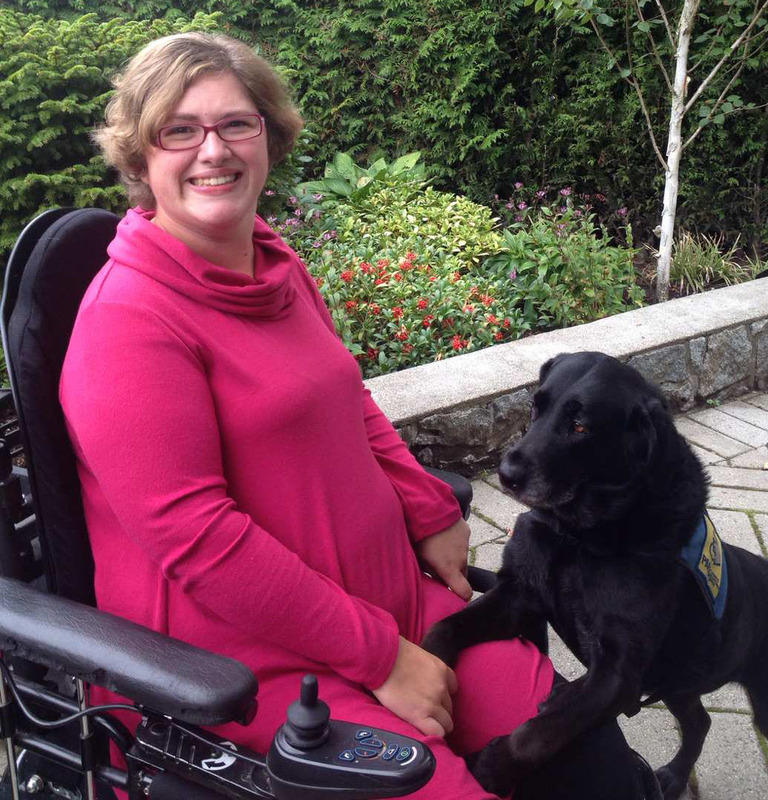 YVR is committed to the community and to accessibility – so a partnership with PADS was a match made in heaven! They ran a social media contest to name the puppies and our very own Michelle Vally (raiser to Wallaby) gave the winning submission (chosen by popular vote). PADS Noosa is pleased to announce that her adorable litter of Golden Retrievers are named: Amelia, Orville and Wilbur. The mister Blake foundation came alongside PADS to sponsor the mister Blake FIVE STAR Litter. The generous mister Blake is an active philanthropist that believes in changing lives locally and globally. 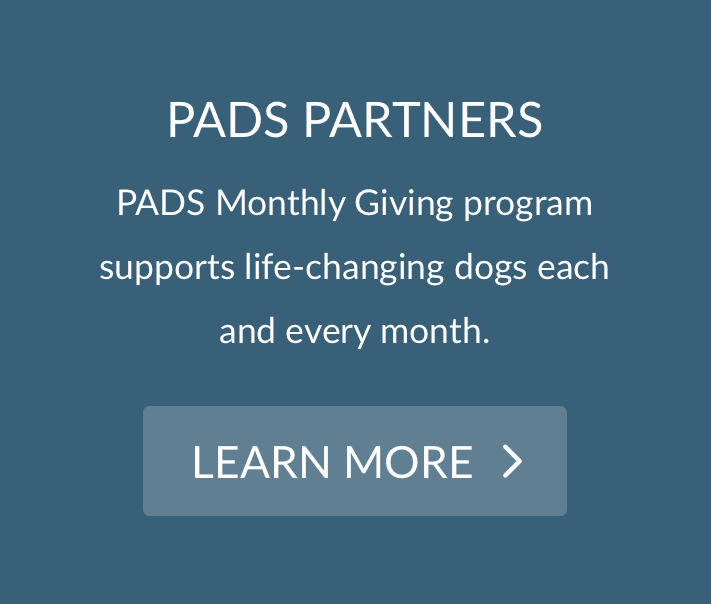 PADS mission of changing lives one dog at a time aligned beautifully with his heart and mission. The beautiful PADS Banff & Gunner welcomed 5 healthy pups that we’re pleased to introduce as mister Blake’s sponsored litter: Blake, Tommy, Darlene, Tony & James. 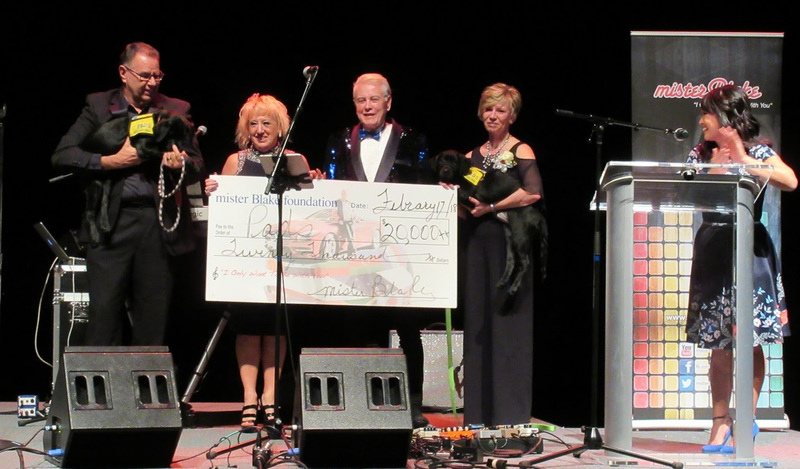 The 2nd Annual For the Love of Dog gala was a tremendous succcess, and included dinner, dancing to Dr Strangelove and a generous cheque presentation by the mister Blake Foundation for the sponsorship of an upcoming litter. In addition to this generous donation, the event raised over $85,000 to go towards placing life changing dogs. 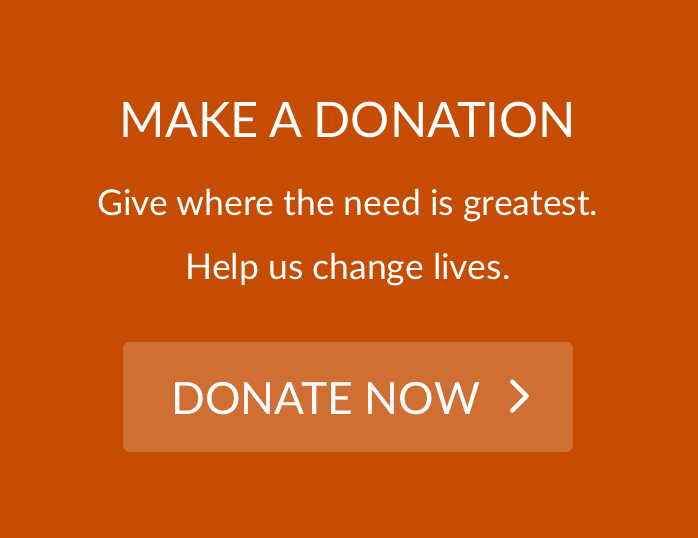 Visit pads.ca/gala to view photos from the 2018 event! Mark your calendar for next year, we’ll be hitting the dance floor on March 9th. Tickets go on sale at Graduation October 7, just in time to be given as holiday gifts! Watch for an email coming soon to buy discounted tickets to the Vancouver Vs. New England game with a portion supporting PADS! SPONSOR & NAME A PADS PUPPY OR LITTER! Sponsorship is a great way for companies, community clubs and individuals to change lives and follow a beautiful puppy or litter throughout their training.